The CV Show is the highlight of the year for many in the commercial vehicle world. This year’s CV Show has opened for visitor registrations and is promising to be an all-round impressive event. Already, three months in advance of the event taking place, exhibition space has nearly sold out. The registrations for visitors opened on 7 January and are, according to organisers, ‘building strongly’. They say that this high level of booking continues to signal market confidence and the Commercial Vehicle website team will be in attendance once again. The event itself is the UK’s largest commercial vehicle exhibition and will take place from 30 April to 2 May. Along with getting up close to the latest vans and trucks, it’s also a prestigious event for the logistics and distribution sectors. The event is free to attend and this will be the 18th year it is being held. The CV Show at Birmingham’s NEC will occupy three halls with remaining stands said to be in ‘high demand’. 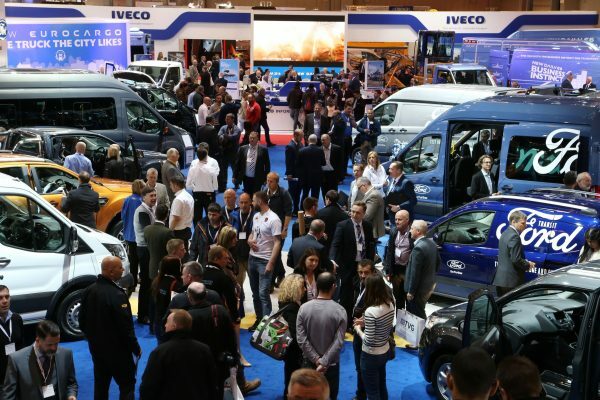 Last year, the CV Show had lots to offer and there were 21,000 visitors with organisers predicting the 2019 event will be even more popular. Along with global commercial vehicle launches, there will also be numerous new van unveilings. The major exhibitors include Ford, with a full range of vehicles, and there will also be Fiat Professional, VW, Isuzu and Peugeot and Citroen having a major presence. Alongside global van and truck manufacturers, there will also be lots of British businesses that support the light commercial vehicle and heavy goods vehicle sectors there who will be displaying their services and products to visitors. These will include bespoke coachbuilders to racking and tooling suppliers. If you would like to attend the CV Show 2019, then you will need to register for free at The CV Show website.